Hello friends! 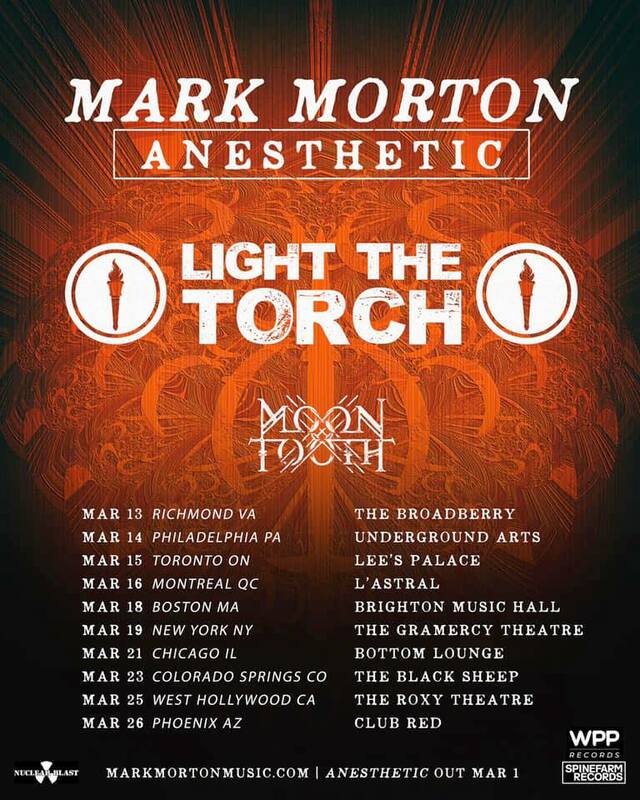 I will be playing guitar with Mark Morton from Lamb of God’s solo band on a short US tour this month. Having been friends with Mark forever and even filling in for him before in LoG, it’s an honor to be considered for this gig. If you haven’t checked out the record, it’s called Anesthetic and it’s available now everywhere you buy or stream music. You may have heard the incredible track “Crossed Off” which features the last recorded material from the late Linkin Park frontman, Chester Bennington. 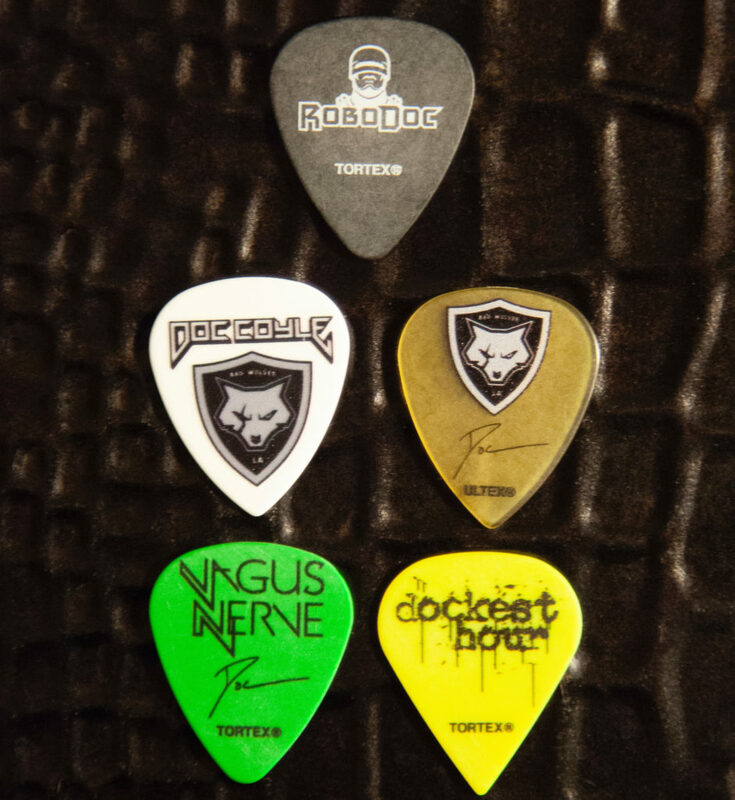 The rest of the band is rounded out by Art Cruz (Winds of Plague, Prong) on drums and Mark Morales and Nick Villareal from Sons of Texas on vocals and bass. We will be co-headlining with Light The Torch feat. Howard Jones (ex-Killswitch Engage) and one of my favorite bands, Moon Tooth. 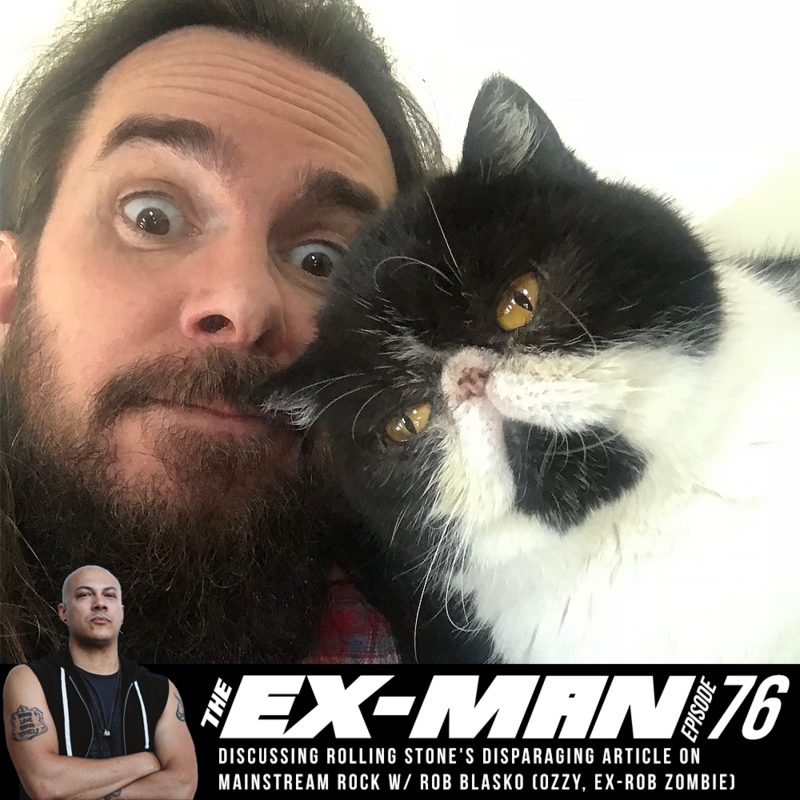 Doc welcomes legendary bassist of Megadeth, David Ellefson, and they talk about Dave quitting heroin, recognizing great feel in other musicians, the differences between Megadeth and Metallica, being on the forefront of digital recording and the direction of Megadeth in the 90s, getting reinvigorated with new band members on their last album Dystopia, dealing with fame, discovering a new career with Peavey after Megadeth disbanded, how he ended up back in the band, and learning how to appreciate his successful career. This episode features the song “Johnny Be Metal” by The Madness and The MadMan and “Late” by Altitudes and Attitude. On this NBA only podcast, Doc welcomes guest, Nelson Blake II (DC & Marvel Comics), to discuss the controversy surrounding Anthony Davis’ trade request, the hypocrisy around differing criticism of other players as well as franchises, the Lakers poor management, LeBron James’ self-defeating micro management, the debate about supporting teams vs individual players, the evolution of NBA players wanting to exercise their personal agency as human beings in relation to their actual free agency as employees, the toxicity of the modern sports media, and close out with speculation about the Knicks prospects in the future. Doc welcomes this week’s guest, guitarist and backing vocalist of Sevendust, Clint Lowery. They talk about why he left Sevendust years ago to start Dark New Day with his brother, the musical background and chemistry with his family, when God Forbid failed to open up for Sevendust back in the 90s and how it inspired Doc, the secret to their longevity and connection with their fans, how his creative energy inspires him to do side projects, the difficulty of dealing with life outside of Sevendust, his stint with Korn, and expounds on his unique songwriting style. This episode features the songs “Omens” by Beneath The Hollow and “Biggest Fan” by Call Me No One. 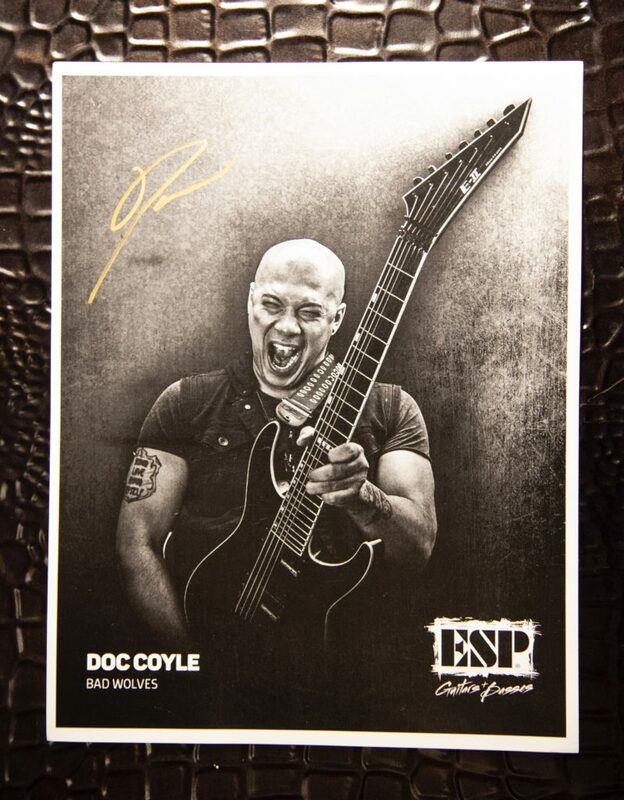 Doc welcomes Mike Montoya, guitarist for Winds of Plague, and producer under the name Morgoth Beatz. They discuss the history of metalcore from it’s roots in the 1980s crossover scene to the modern era of where metalcore has gone mainstream and everything in between. This episode features the song “Deadline” by Catalysis and “Built To Destroy” by Incite. Doc welcomes former artist manager, A&R, and entrepreneur Paul Conroy and they talk about how he got his start in the music business in Philadelphia, getting hired by Roadrunner Records, his challenges as an A&R, leaving Roadrunner to manage Lamb of God, how insecurity as a manager got the best of him and led to him partnering with Carl Severson at Ferret Records, his philosophy on how passion drives his entrepreneurial spirit, selling Ferret and launching Good Fight Entertainment, burning out and changing his focus to health and wellness, leaving the music industry and moving to the west coast to enter sports entertainment, his current company Plus Foundry, and Paul inquires Doc about his life transitions and recent success. 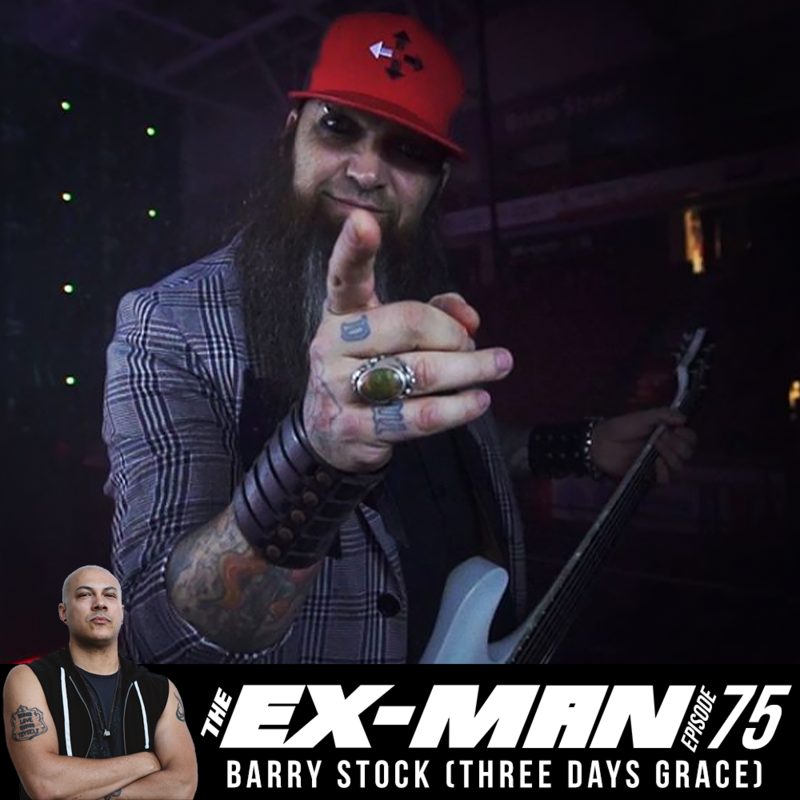 This episode features the songs “My Resistance” by Hallow Point and “Untitled” by Five Pointe O.
Doc summarizes the experiences of the previous year of touring, how it has affected him, dealing with depression, and the steps he has taken to get healthy in 2019. Doc also recounts his favorite albums and films of 2018. 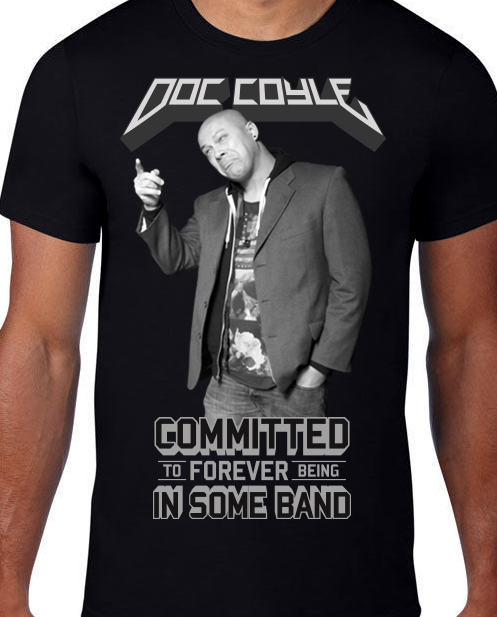 DocCoyle.net Now Has a Webstore! In all honesty, I’m not much of a capitalist. 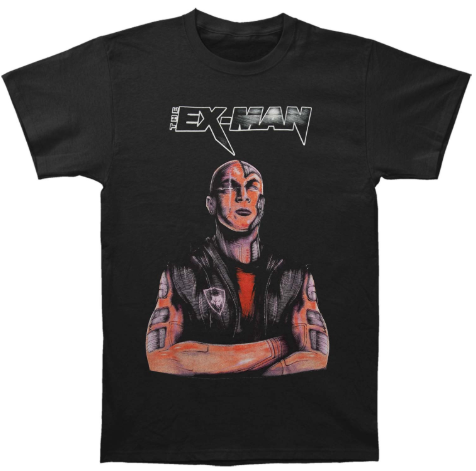 But partially out of responding to consistent requests from fans on social media combined with a little experimentation to test the waters to see if people would even be interested, I’ve added 4 items my new webstore. 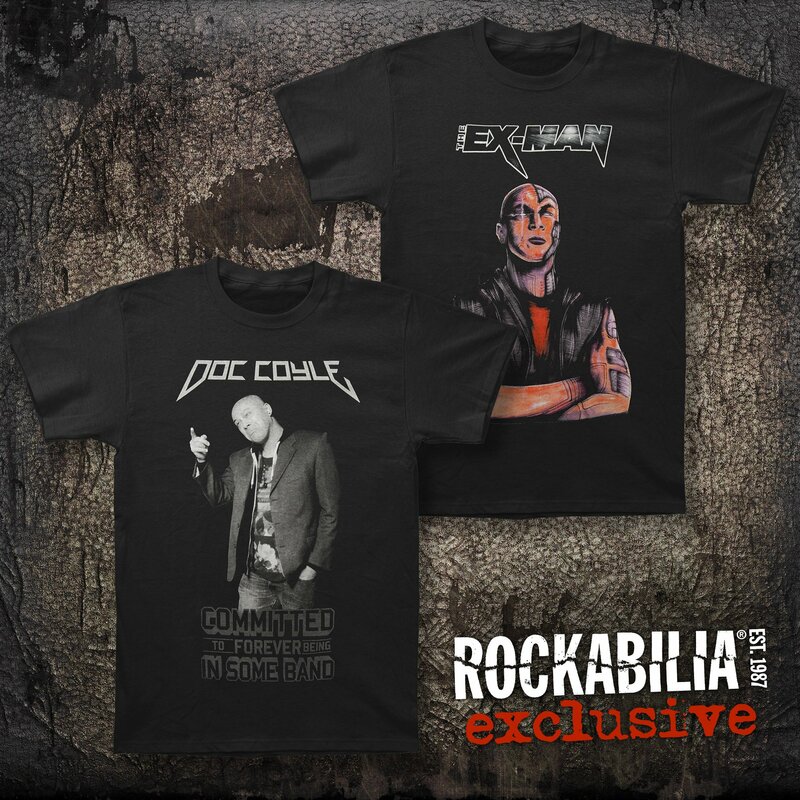 Both T-shirts are available exclusively through Ex Man Podcast show sponsor Rockabilia.com linked through this site.